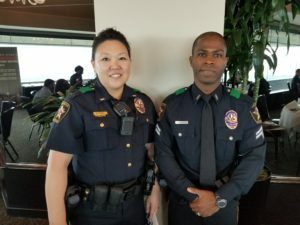 Several Best Southwest area police officers were among those honored June 19 at the 2018 Dallas County “Take the Wheel: Law Enforcement Awards Luncheon organized by Mothers Against Drunk Driving (MADD). The annual awards ceremony and luncheon was held at the elegant La Cima Club in Las Colinas. 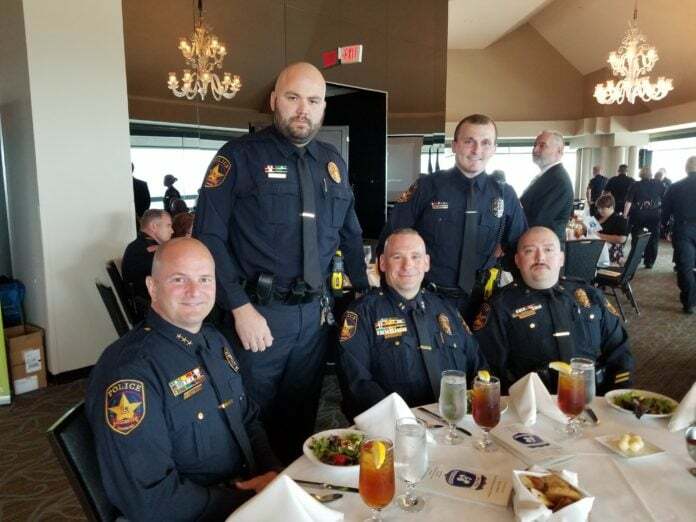 MADD recognized North Texas law enforcement officers for courageous work guarding the roads from drunk and drugged driving. Scott Murray served as emcee for the program, and keynote speaker for the luncheon event was State Senator Don Huffines. Awards were presented by Robert White and Bernadine Moore, Traffic Safety Specialists, Texas Department of Transportation. 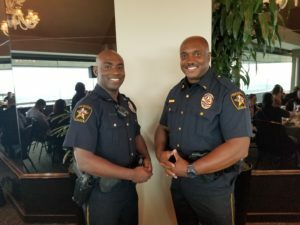 Area police officers honored at the event included several from Cedar Hill, DeSoto, Grand Prairie and Lancaster. The officers were nominated by their police departments. Founded in 1980 by a mother whose daughter was killed by a drunk driver, Mothers Against Drunk Driving® (MADD) is the nation’s largest nonprofit working to end drunk driving, help fight drugged driving, support the victims of these violent crimes and prevent underage drinking. MADD has helped to save more than 350,000 lives, reduce drunk driving deaths by more than 50 percent and promote designating a non-drinking driver. 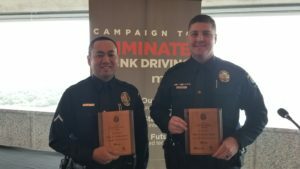 MADD’s Campaign to Eliminate Drunk Driving® calls for law enforcement support, ignition interlocks for all offenders and advanced vehicle technology. MADD has provided supportive services to nearly one million drunk and drugged driving victims and survivors at no charge through local victim advocates and the 24-Hour Victim Help Line 1-877-MADD-HELP. Visit madd.org or call 877-ASK-MADD. Law enforcement plays a critical role in the fight to end drunk driving. Each year, nationally, officers arrest more than one million DUI or DWI offenders who threaten the safety of our roads. Injuries, and deaths caused by the 100 percent preventable crime of drunk driving, impact not only the person involved in the crash, but also families, friends, classmates, colleagues and more. MADD hosts Law Enforcement Recognition events across the country, to recognize outstanding service in the fight to create a future of No More Victims®.